The Electro-Motive GP40-2 is now ready for Train Simulator service in five liveries! The highly successful Electro-Motive was all about remarkable numbers … 1,143 units constructed over a production period of 14 years, 27 original purchasers, and more than four decades of reliable service to North America’s railroads. And so, it is fitting, as the EMD GP40-2 now arrives for Train Simulator service, that the Geep is available in five classic railroad liveries! 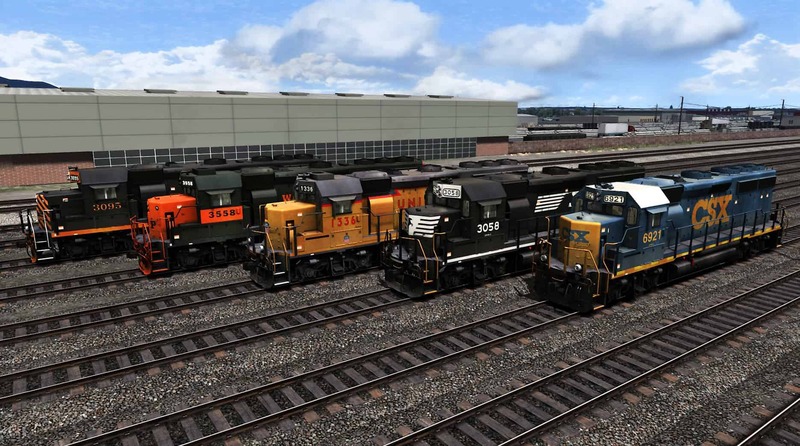 The Train Simulator GP40-2 Loco Pack, available at the Steam and Dovetail Games stores, features the noted EMD locomotive in the distinctive liveries of Denver & Rio Grande Western; Western Pacific; Union Pacific; Norfolk Southern; and CSX (YN3 scheme). Produced from 1972 through 1986, the four-axle (B-B), 3,000-horsepower GP40-2 road-switcher was the direct sire of another highly successful (and similar) locomotive, the EMD GP40. Electro-Motive’s GP40 had debuted with the arrival of the builder’s 645-series diesel powerplant in 1966, and through the end of 1971, more than 1,200 GP40s had been built for 31 railroads. The GP40-2, like the entire Electro-Motive “Dash -2” line of 1972, was an evolutionary extension of EMD’s “40” line. “Dash 2” features included improved traction motors and alternators; strengthened components in the 645-power plant, and solid-state modular components in the electrical and control systems. All of which translated to enhanced reliability and operating efficiency for the GP40-2 as compared to its highly-regarded predecessor. Today, more than four decades after its introduction, the GP40-2 can still be found working in numbers for the likes of CSX, Norfolk Southern, Union Pacific, Kansas City Southern, and a variety of U. S. regional railroads – and that speaks volumes for the capabilities, versatility, and efficiency of the remarkable second-generation diesel locomotive. Rio Grande and Western Pacific were original customers for the GP40-2. 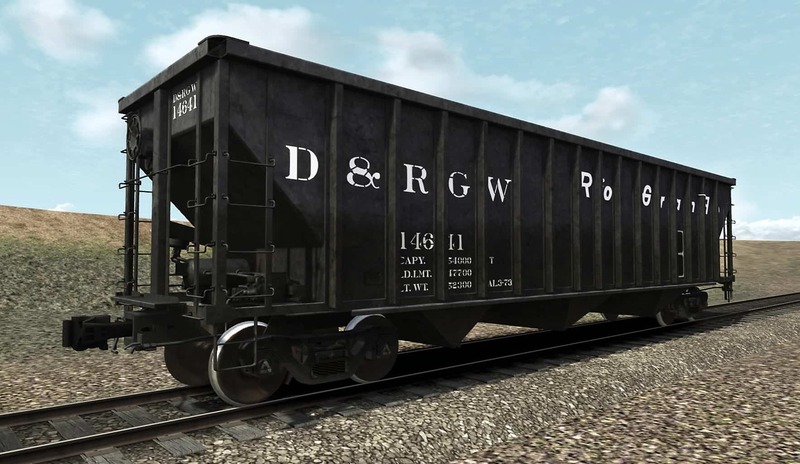 D&RGW acquired its first dozen GP40-2s in April 1972 and went on to acquire a roster of 37 of the diesels through 1983. Western Pacific purchased a fleet of 15 GP40-2s in 1979-80, and both western roads put the four-axle (B-B) diesels to work in a variety of duties, including priority services. Union Pacific was not an original buyer of the GP40-2, but through mergers (including with the D&RGW and Western Pacific, as well as the Southern Pacific/Cotton Belt), the UP acquired an expansive collection of the EMD diesels. Like the Union Pacific, eastern rail giants Norfolk Southern and CSX were not original purchasers of the GP40-2 but have since built large fleets. Norfolk Southern acquired 71 GP40-2s with its portion of Conrail in 1999. And among the original buyers of the GP40-2 were no less than 11 railroads that would eventually become (in whole or in part) members of today’s giant CSX system. The pre-CSX railroads that purchased the GP40-2 included the four largest CSX predecessors: Chesapeake & Ohio; Baltimore & Ohio, Seaboard Coast Line; and Louisville & Nashville. It included notable mid-sized roads such as Western Maryland and Richmond, Fredericksburg & Potomac. And it included inheriting a portion of Conrail’s GP40-2 fleet when CSX and NS acquired and divided that railroad in 1999. All told, CSX predecessor railroads accounted for more than 450 GP40-2s. 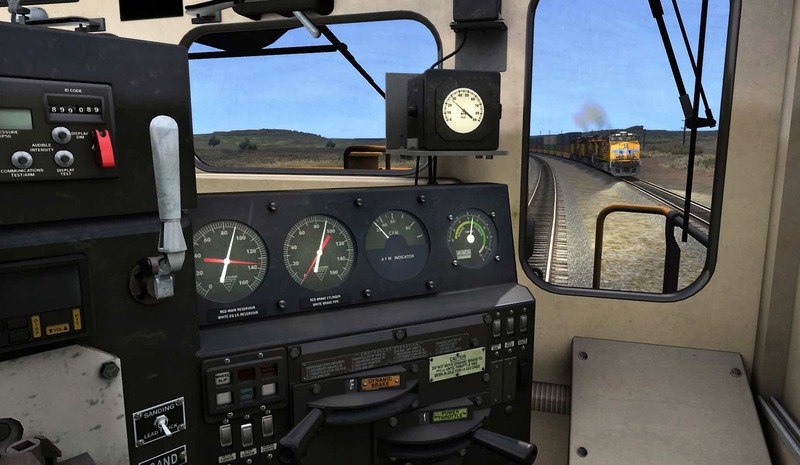 Train Simulator’s new GP40-2 features railroad-specific details (such as headlight placements) and advanced features (including “running” and “cold and dark” versions). 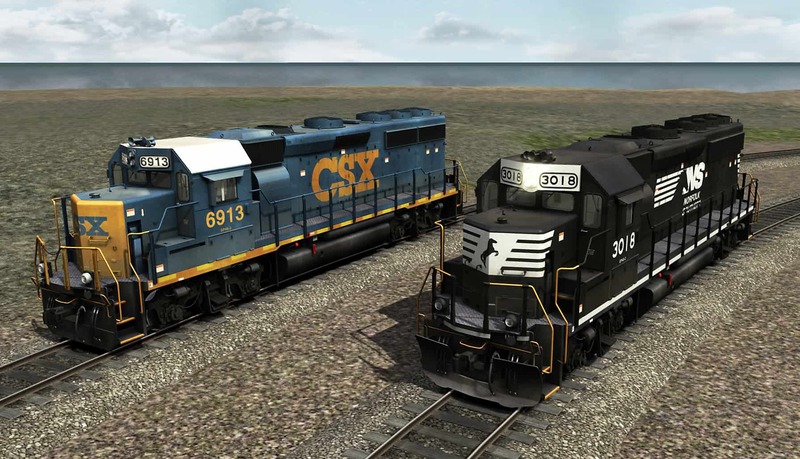 The GP40-2 Loco Pack also includes a fine selection of appropriate freight rolling stock, including an all-new D&RGW three-bay hopper used for Dolomite service; UP steel coil car; CSX 50-foot box car; stone/ballast hopper; 3-bay covered hopper; and 86-foot auto-parts boxcar. Check the links above to visit the store pages of relevant routes! The Electro-Motive GP40-2, one of America’s most successful and long-serving diesel locomotives, is now available for Train Simulator! 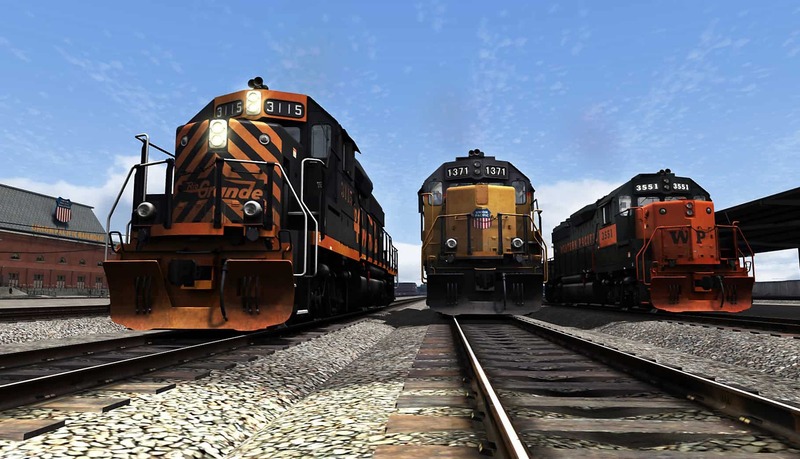 The new GP40-2 Loco Pack features the EMD road-switcher in the distinctive liveries of eastern giants CSX and Norfolk Southern (above), plus famed western railroads Rio Grande, Union Pacific, and Western Pacific (below). Screenshots by Gary Dolzall. Rio Grande was an early customer for the EMD GP40-2. D&RGW acquired its first GP40-2s in April 1972 and went on to acquire a roster of 37 of the versatile diesels. Low clouds are hanging over the distant Wasatch Range as a trio of D&RGW GP40-2s head west from Provo, Utah with a train of priority auto parts. 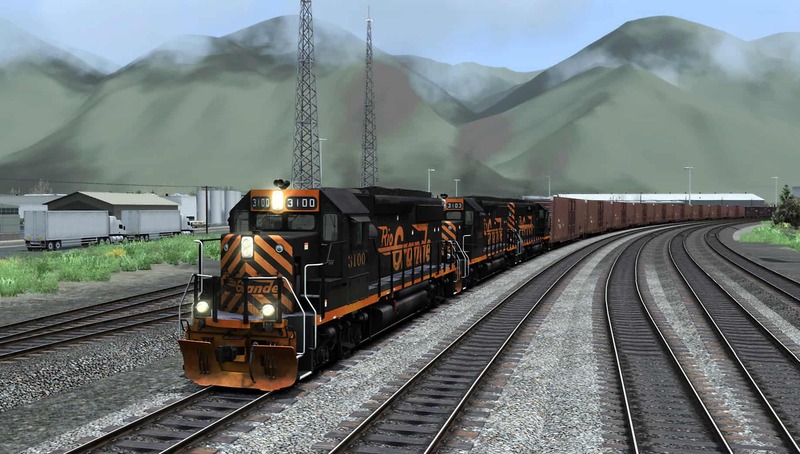 Train Simulator’s GP40-2 Loco Pack includes three career scenarios for the Salt Lake City Extension of the Soldier Summit route (available separately). Hauling priority Train 179, D&RGW GP40-2 3100 leads the way west through the Jordon Narrows (above) and later arrives at Salt Lake City’s busy Roper Yard (below). 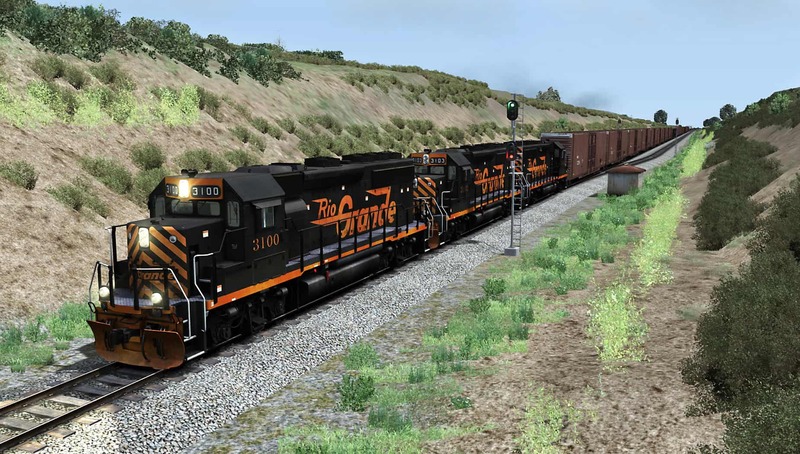 The GP40-2 in its five liveries is perfect for authentic use on a wide variety of Train Simulator U. S. routes. 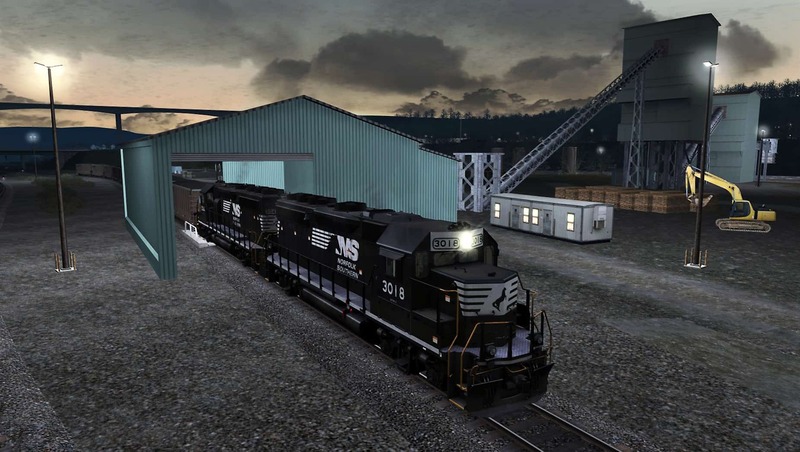 On the Norfolk Southern Coal District route, a pair of NS GP40-2s are unloading coal at the Alicia, Pennsylvania coal terminal (above). 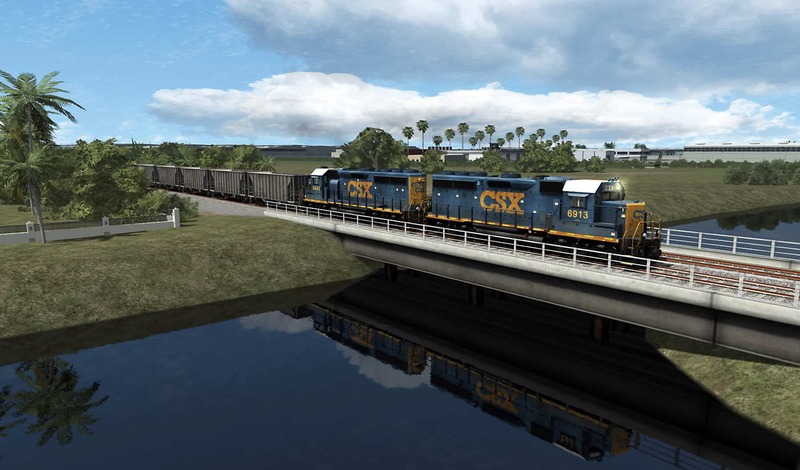 In sunny South Florida, a duo of CSX Geeps is rolling empty stone hoppers south on the Miami – West Palm Beach route (below). 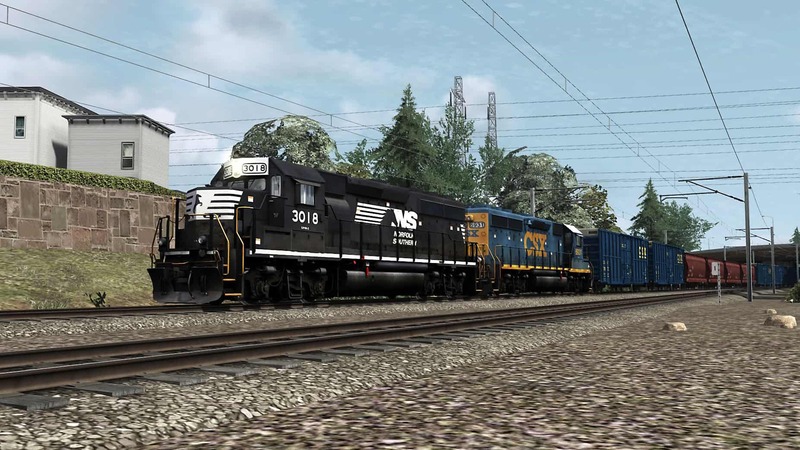 In New Jersey, Norfolk Southern and CSX cooperate in serving Conrail Shared Assets trackage, and such is the case as a GP40-2 from each of the eastern rail giants team up to work a local on the NJ Transit North Jersey Coast Line. 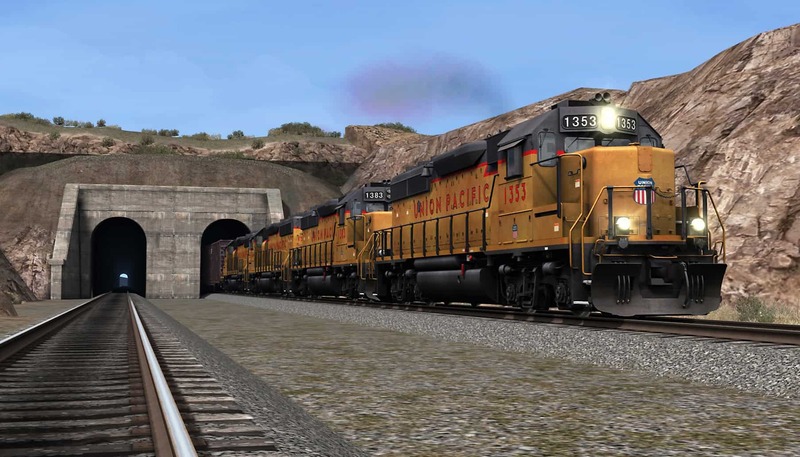 On Train Simulator’s Sherman Hill route, a quartet of Union Pacific Electro-Motive GP40-2s emerge from Hermosa Tunnel (above) with westbound tonnage and, in an engineer’s eye view from aboard the cab of the lead GP40-2, meet an eastbound intermodal train (below). 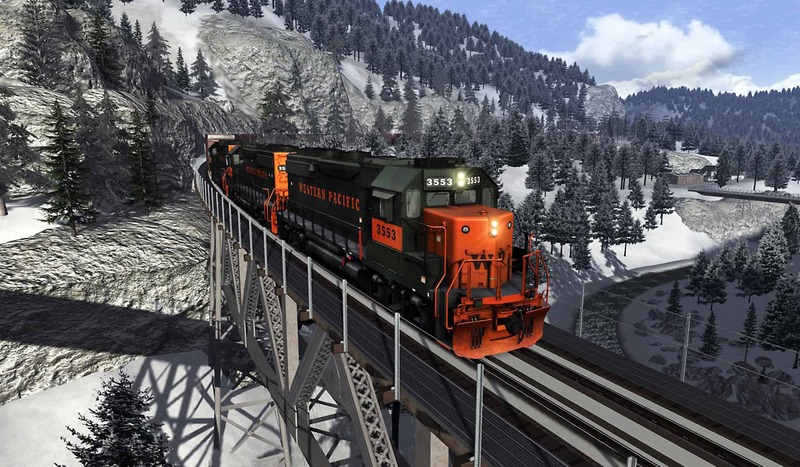 Western Pacific purchased 15 GP40-2s in 1979-80 and a trio of the flashy orange and green EMDs have the WP’s “Ford Fast” auto parts train in tow on a wintry day at Keddie, California along the Train Simulator Feather River Canyon route. 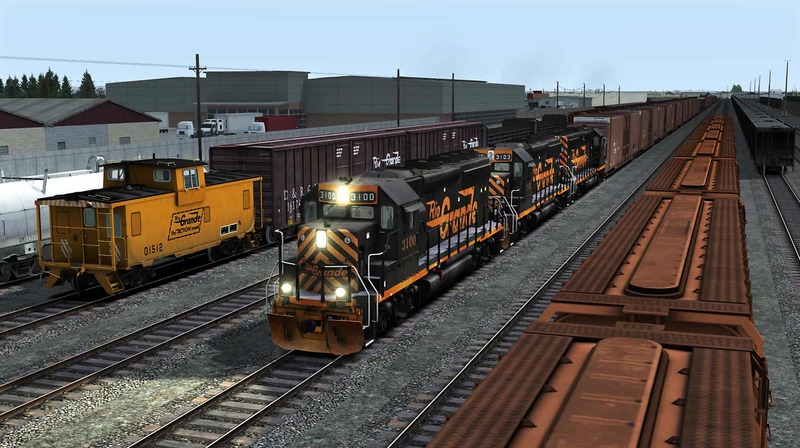 The Train Simulator GP40-2 Loco Pack includes a selection of freight rolling stock, including an all-new D&RGW three-bay hopper used for Dolomite service; UP steel coil car; CSX 50-foot box car; stone/ballast hopper; 3-bay covered hopper; and 86-foot auto-parts boxcar. The landmark Electro-Motive GP40-2 is now ready for Train Simulator duty in five classic railroad liveries! 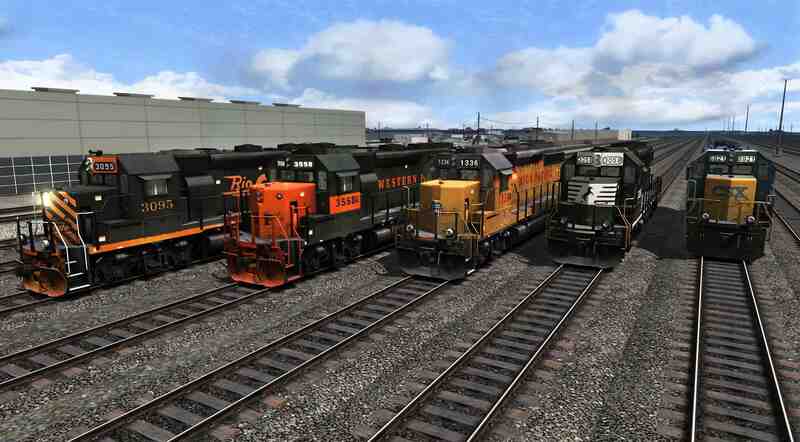 The GP40-2 Loco Pack, available at the Steam and Dovetail Games stores, features the veteran EMD road-switcher in the distinctive liveries of Denver & Rio Grande Western, Western Pacific; Union Pacific, Norfolk Southern, and CSX.